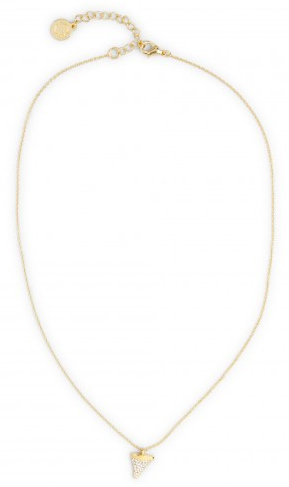 A dainty, everyday-wearable necklace is always a crowd-pleaser, and this one with a pave shark tooth pendant (very Givenchy-inspired and so easy to layer with other necklaces!) has the perfect amount of bite. 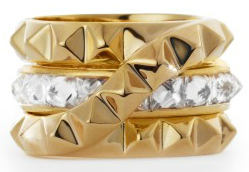 This stack of studded rings manages to be edgy and crazy glamorous at once. P.S. You can remove the center ring to wear alone. Versatile = very good gift! 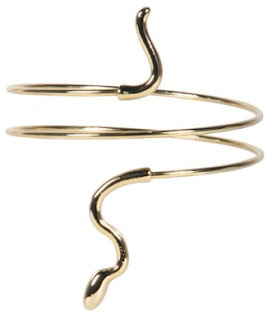 Great for minimalists and maximalists: This wraparound snake bracelet will look good on its own or mixed with a jumble of bracelets. 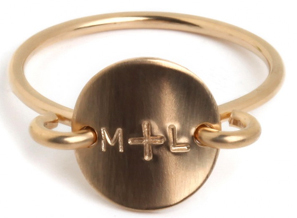 A custom gift, like this little 14-karat gold fill monogrammed ring, screams thoughtfulness. 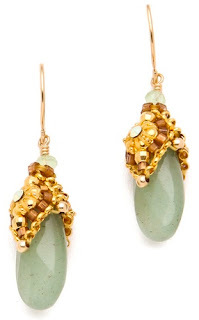 These gorgeous drop earrings have an earthy luxe vibe, and the jade-colored stone flatters every skin tone. 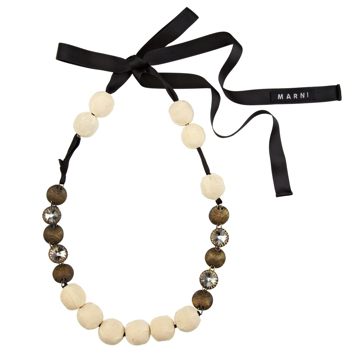 A Marni statement necklace imparts fashion-insider-chic. Always good. 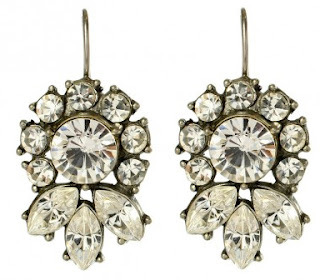 You know what they say: Diamonds are a girl's best friend--even when they're crystals! These earrings are made with perfectly blingy Swarovski crystals. *Use the code CC25OFF at checkout to get this price as well as 25% off everything else at Charm & Chain through December 14. That snake bracelet it super cool! I am needing a bit more arm candy in my life! nice pieces! 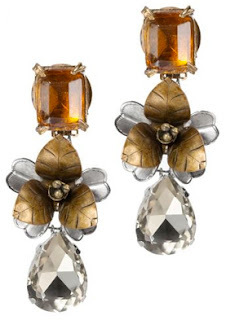 Theose Tory Burch stunners are beautiful. I hope "Santa" treats you well.